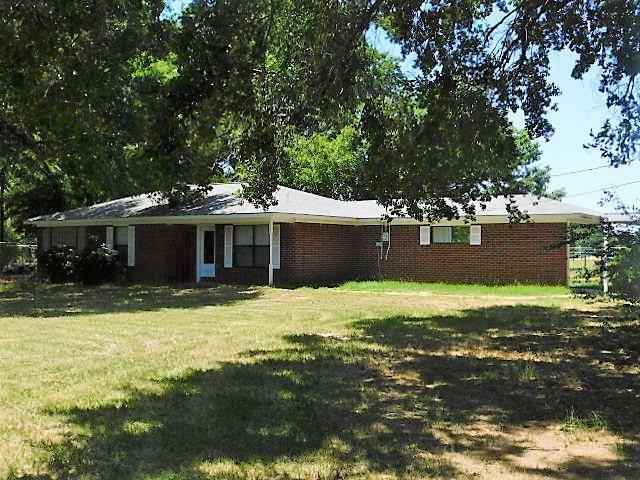 All Malakoff homes currently listed for sale in Malakoff as of 04/20/2019 are shown below. You can change the search criteria at any time by pressing the 'Change Search' button below. If you have any questions or you would like more information about any Malakoff homes for sale or other Malakoff real estate, please contact us and one of our knowledgeable Malakoff REALTORS® would be pleased to assist you. 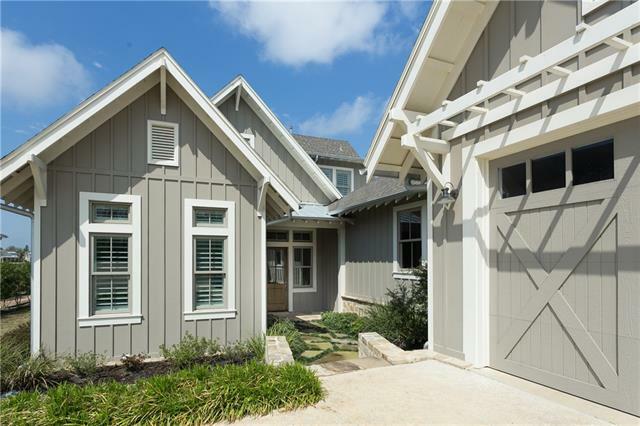 "The foremost waterfront property at Cedar Creek Lake, Wavy V Ranch, blends sophistication with intimacy and warmth of materials and space. With 1,000 feet of improved shoreline, the 14,000 sq. ft. residence sits prominently on the southeastern most portion of the lake. The lake house feels equally at home on the ranch, and brings together rustic and luxury. An additional 315 acres with a private championship bass fishing lake, coastal bermuda pasture, and hunting (duck, deer, hog), adjace"
"Stunning Waterfront Home in Exclusive Long Cove Resort Community. 1 of only a handful of lakehomes so close to the water. Beautiful Open Water Views! This home is turnkey, sold fully furnished including a 24ft Yamaha boat (2016 model, 242s Limited), 2 golf carts & 2 go carts! The Long Cove community includes: Play Field, Toy Barn, Lake Club and Pool, Private Regatta Grill, Community Dock, Putting Green, Tennis and Basketball Courts, Bike Depot, and plenty more. Long Cove is a gated private resor"
"A family's dream home on the lake, in Long Cove, next to the beautiful Lake Club, fully furnished and ready to go. Panoramic views, community lawn, Regatta Grill are right there for ease of use and enjoyment. Open creative floor plan allows for flexibility for family and friends. Dual outdoor areas for entertaining and grilling. Upper deck looks out over the Lake Club, to the lake and beyond. 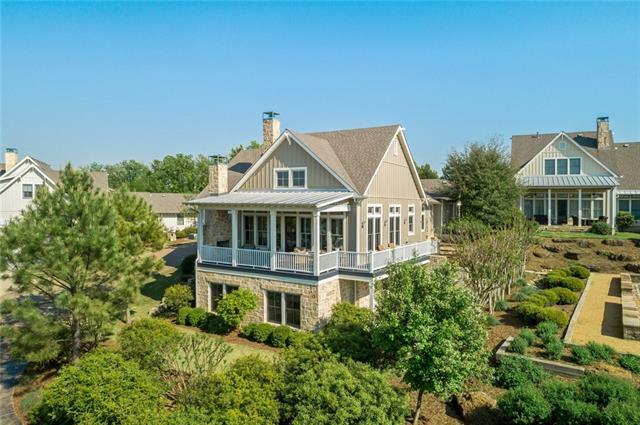 Long Cove is a 1,200+ acre resort-style community with 7.5 miles of shoreline at the clear, deep end of "
"Beautiful family home in exclusive Long Cove Resort Community on Cedar Creek Lake. This Cypress Cottage with direct water views & access features 1st floor master & guest suites; 2 add l bedrooms & large bunk-room up, each with en suite baths. The Chef's kitchen opens to family living & dining, with direct access to a large porch with outdoor kitchen & fireplace. About an hour drive from downtown Dallas, Long Cove offers amazing amenities: lake club with restaurant & grill, boat valet & club, "
"This Waterside Cottage boasts direct water views & access.Features include a completely separate 1st-floor guest suite with a kitchen, a large master bedroom, additional bedrooms & a large separate bunk room and kitchenette up, all with en-suite baths.The gourmet kitchen opens to family living & dining reaching out to a luxurious outdoor living and dining experience overlooking the water. 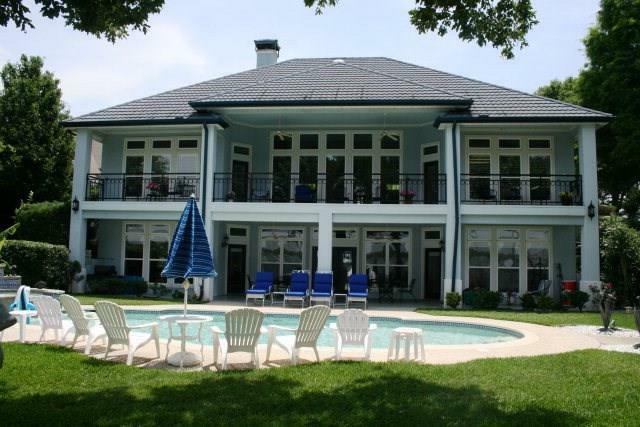 Long Cove is a 1200 acre private second home resort community on Cedar Creek Lake. Dedicated services includ"
"Stunning One-of-a-kind, waterfront custom home sleeps 18! No HOA! Phenomenal view of water, gorgeous sunsets. Perfect for entertaining. Built by one of DFW s top custom builders. Attention to every detail. Free standing mstr tub, gourmet kit with farm style sink, under, over cabinet lighting, 3 SS ovens, gas range. 2 tankless gas water heaters, gas log FP, hand scraped wood floors, imported Carrara marble tops, quartz bath counters, 13 tall ceilings in main area, large covd patio, huge walk"
"MLS #86447. GB-5810. MAGNIFICENT MEDITERRANEAN ON OPEN WATER - GREAT CURB APPEAL - STUCCO EXT., METAL ROOF, CIRCULAR DRIVE - TWO LIVING AREAS - HIGH CEILINGS - FLOOR TO CEILING WINDOWS - LARGE BEDROOMS W-PRIVATE BATHS - WET BAR - COVERED PORCHES & BALCONIES OVERLOOK POOL - BEAUTIFUL SETTING, MATURE TREES, VERY PRIVATE - LARGE BOATHOUSE ACCOMMODATES BOAT & PWC W-COVERED AREA." 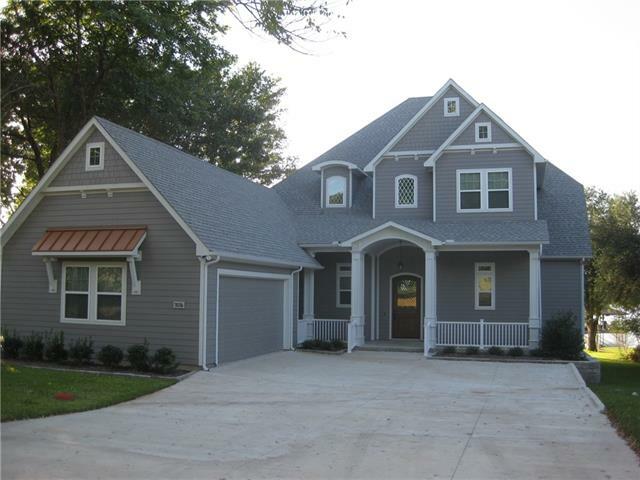 "MLS#: 87925. GB-8159. SPRAWLING SINGLE STORY SITUATED ON BEAUTIFUL OVERSIZED LOT - MAIN LIVING AREA HAS 10 FT CEILINGS, WALL OF WINDOWS, TILE FLOORS - SPACIOUS KITCHEN, LOTS OF CABINETS & COUNTER SPACE. OPENS TO SECOND LIVING AREA WITH BEAUTIFUL BRICK FIREPLACE - WONDERFUL WATERVIEWS - LARGE MASTER SUITE WITH SEATING AREA - COVERED PORCH, DOUBLE BOAT HOUSE - 3 CAR GARAGE - ADDITIONAL RV GARAGE COULD EASILY BE CONVERTED TO GAMEROOM." 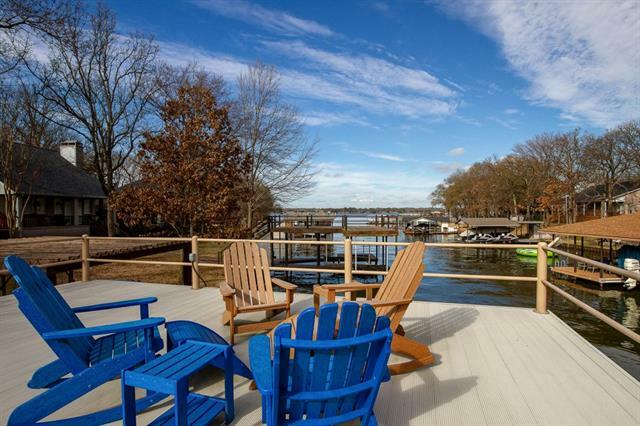 "This ready to go home comes fully furnished with an open floor plan for immediate lake community enjoyment. 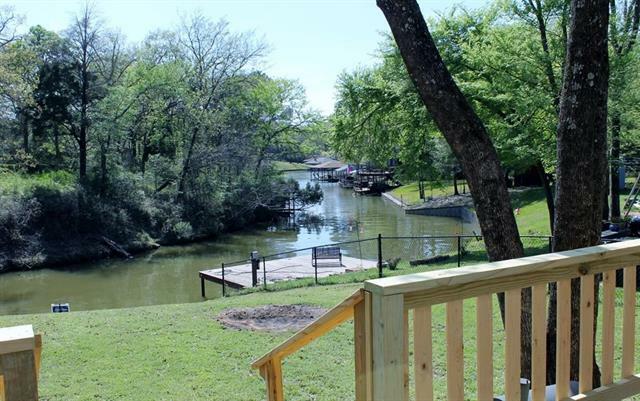 Relax on the patio overlooking Shumate Pond, throw in a line and catch bass fish all day. The home is a stroll from the Play Field, Toy Barn, Lake Club and Pool, Private Regatta Grill, Community Dock, Putting Green, Tennis and Basketball Courts, Bike Depot, and plenty more amenities. Boaters your community dock is a series of hop, skips and jumps away. 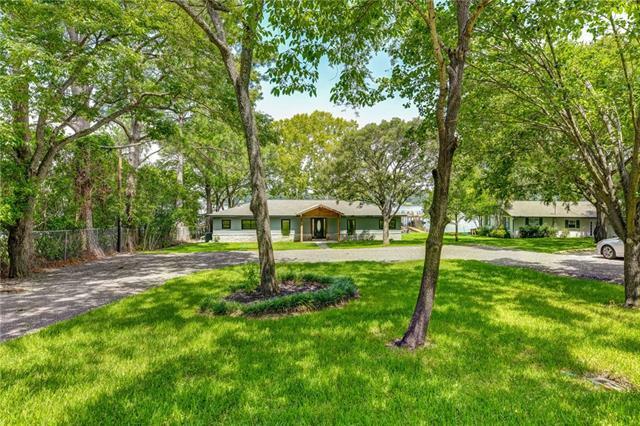 Long Cove is a gated private resort s"
"Newly remodeled lake front home w guest quarters and luxury amenities. 4 bdrm 3 full bath with a half bath, wbfp. Open concept living, dining, kitchen, large granite entertainment island, SS appliances and walk-in pantry and laundry area. Outside includes fully equipped outdoor kitchen, 12x70 covered porch, fire pit, 2 story boat dock with party deck, functional live well, boat lift with lots of storage. Guest quarters has 2 living areas, incinerator toilet, media room, studio kitchen and heated"
"BONUS HOUSE INCLUDED! 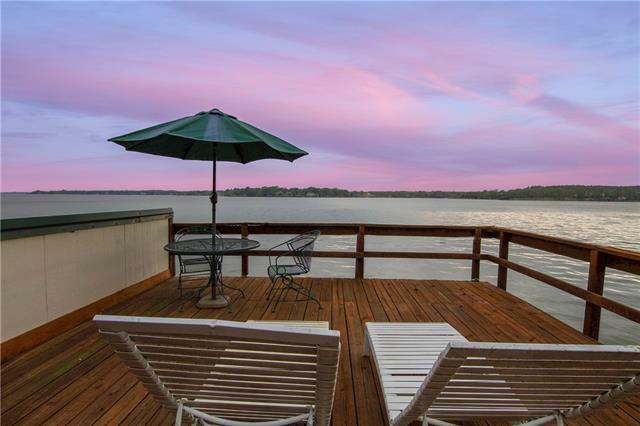 This beautiful updated 4-2.5-2 lakefront home includes a bonus house across the street. Both homes are on the same water & electric. The open concept liv-din-kit provides plenty of room & has a breakfast bar, granite countertops & a built-in china cabinet. Great view of the lake from the living room! Also a lake view from the downstairs master bedroom that features a large walk-in closet & bathroom. House has plenty of storage! The boat dock has boat & jet ski lifts and alu"
"Views from all angles! 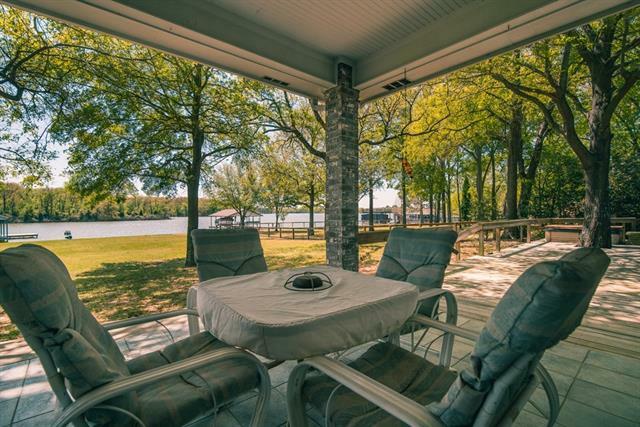 This lake front 4 bedroom 3.1 bathroom is right on open, deep water! 2 decks and a boat house with roof top deck for years of family fun to come! The views are absolutely breathtaking and will absolutely impress you and all your family and friends. The pictures tell it all so hurry down to this magnificent property and make it your own! Get ahead of the 2019 summer lake season. Buy now!" "Come explore The Bluffs at Cedar Creek Lake! 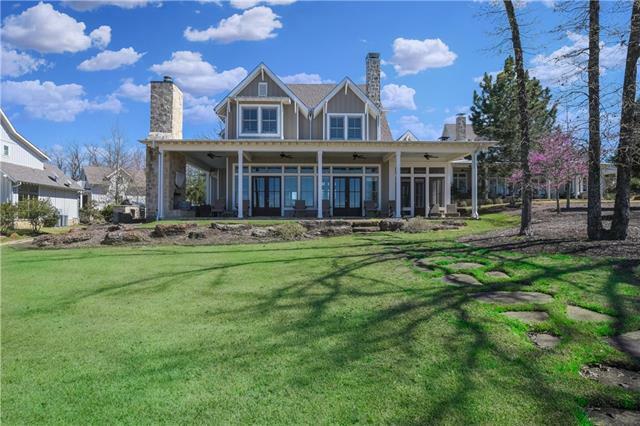 This gorgeous home sits on a large lot with mature trees and a tranquil view. It has 3 bedrooms with a study that can easily be used as a 4th. bedroom. Large accommodating utility room with extra closet. And the master bedroom closet is huge!! The nook has 3 large windows to enjoy your view while eating and also while cooking! 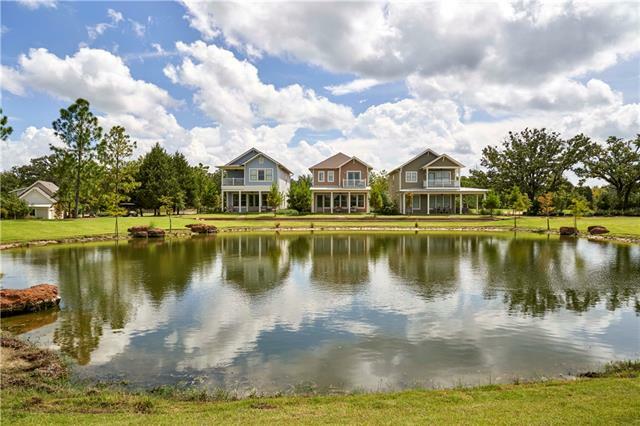 This subdivision is right off of the main road FM 3054, with meandering roads and 3 inner lakes, a private boat ramp with a ma"
"MLS #85670 GB-7867. JOB TRANSFERRED - WORKING EQUESTRIAN PROPERTY SITUATED ON 9.78 ACRES. MAIN HOUSE 2-1.5 - RECENTLY PAINTED INSIDE. OPEN LIV-DIN-KITCHEN. NEW SEPTIC SYSTEM INSTALLED 3-20-18. ROOF SHINGLES REPLACED 2015. WELL WATER M. 1-1 GUEST HOUSE W-KITCHEN & BATH. SHOW BARN W-11 STALLS, TACK ROOM, OFFICE & FEED ROOM. OUTDOOR FENCED RIDING ARENA, HORSE WALKING PEN, COMPLETELY FENCED & CROSSED FENCED. POND, STORAGE BARN-WORKSHOP WITH ELECTRIC & LOFT AREA. LARGE FENCED DOG AREA, PLENTY OF ROOM"
"MLS #: 87875. GB-8149. PERFECT LITTLE CABIN ON THE LAKE. LOCATED ON DEEP WATER CHANNEL IN RESTRICTED SUBDIVISION. 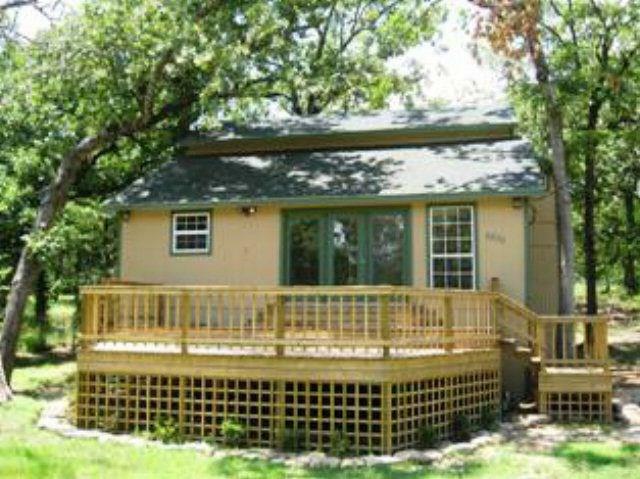 NO WASTED SPACE IN THIS ADORABLE 3 BEDROOM 2 FULL BATH WITH ADDITIONAL SLEEPING LOFT. PERFECT POSITION FOR GORGEOUS ELEVATED VIEWS OF WATER FROM PORCH AND HOME. OPEN LIVING AREA, WRAP-AROUND PORCH, STEEL RETAINING WALL. POA BOAT RAMP AND PARK JUST AROUND THE CORNER. GREAT LOCATION, ADORABLE HOUSE, READY FOR MEMORIES TO BE MADE. YOU DON'T WANT TO MISS THIS ONE." "So much space! 3-2-2 car carport, Enjoy family time in the sunken living room with wood burning stove! Living has rustic feel with distressed wood laminate floors and ceiling, sliding barn doors that lead to home office area, Newly updated kitchen is ready to entertain, lots of counter space, large serving island, breakfast bar, stainless appliances and a great pantry. Many extras, a place to kennel pets, a work area and a home office. Formal living and dining currently being used for a bedr"
"This home is neat as a pin, and has been extremely well cared for. 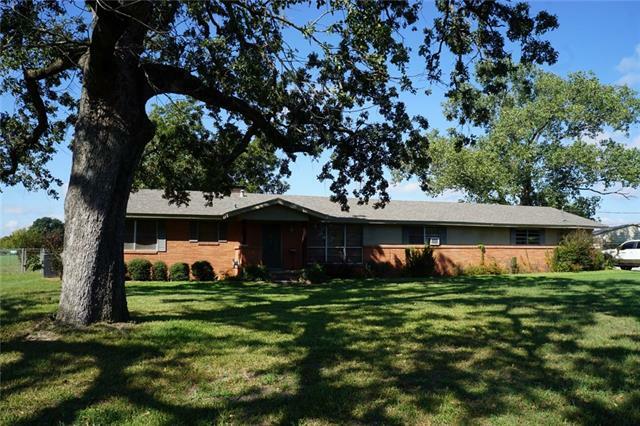 Over 2,000 sq ft with 3 bedrooms, 2 living areas, 2 baths, & 2 car garage. Granite countertops, tile & wood flooring, lots of kitchen storage area, and home in perfect move in ready condition. Brand new central AC unit & HVAC system in the home. Great location at edge of city limits with city services, however a country atmosphere as the home is surrounded by large acreage, green pastures, & huge trees! 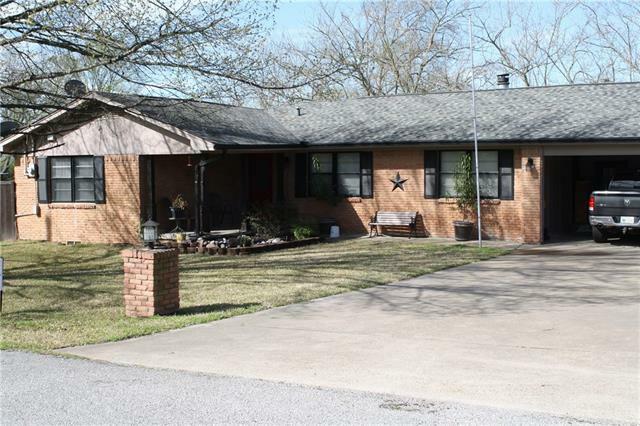 Spacious & wide lot wi"
"Move in ready for lake lovers; view of Cedar Creek lake from raised wood deck. 8' privacy wood fence surrounds darling house=cabin storage that can be completed as efficiency, guest house. Has electric already. Main house has open living, dining and kitchen with master split, large closets and other area has hot tub and plug and play. Over sized 2 car carport boat or RV. Gravel beach like decor grounds; no grass to mow. Very clean; come and relax for the week or weekend or come home." "Sought after interior lot with outstanding views, Interior lot, on a quiet street with huge back yard. Home needs some TLC both inside and out side, repairs include AC and Electrical Service Panel, Carpet, Light interior paint and exterior trim, and front door. Outstanding value, and nice property. Send offers. This could be a great weekend, retire, or full time home. Go & Show! Buyer to Verify all data and schools." "AFFORDABLE, ADORABLE & AVAILABLE NOW! 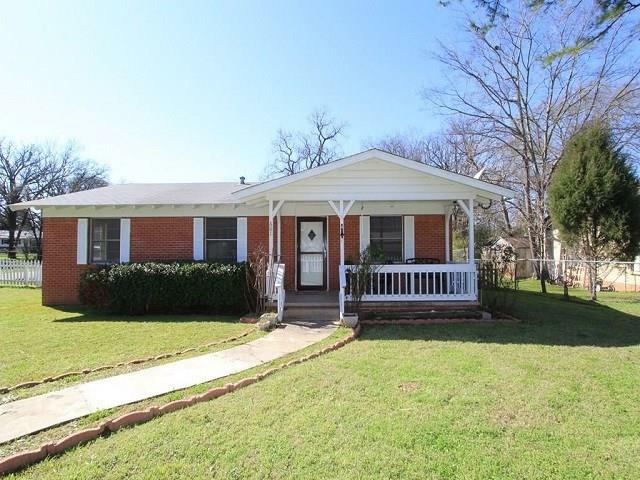 Nicely renovated 3-1 brick on large corner lot, just a block from local elementary school. Fresh paint, tile, kitchen backsplash, hardwood floors, carport, covered deck, workshop-storage shed, this one even comes complete with white picket fence! Cute and move-in ready, the small town American dream life awaits you!" "CONVENIENCE!!! 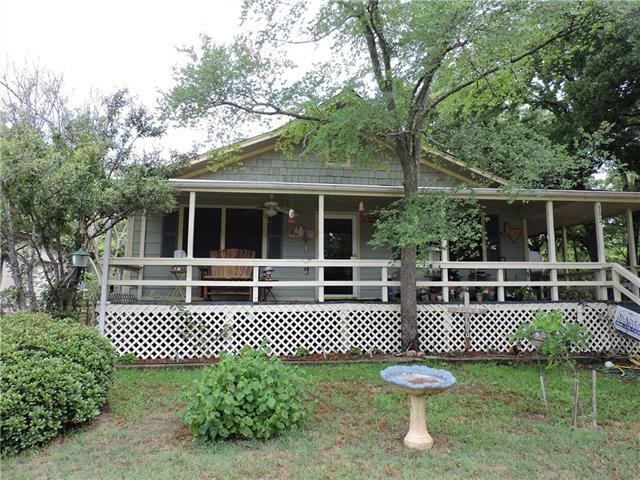 Location near Hwy 31 and Cedar Creek Lake, shopping and other cities too. Updated flooring and beautiful kitchen cabinetry. Spacious utility room with storeroom. Interior storeroom or 4th Bedroom or even a 2nd bathroom area off big dining room. Semi-open floor plan & attic fan; come put some TLC touches into this home and make it YOURS. Quiet neighborhood, you will enjoy the atmosphere. Come see it soon!" 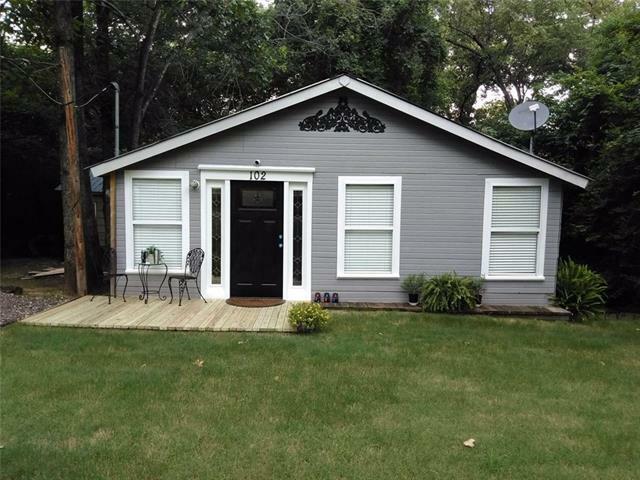 "Cute, well-maintained 2 bedroom, 1 bathroom home on 2 lots in Oak Acres. 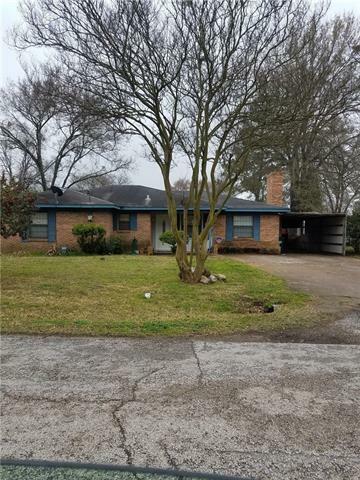 This home features an open design, new flooring in living area and kitchen, new cabinets and backsplash in kitchen, nice covered wrap-around deck, huge open patio area, RV carport, and lots of shade trees." 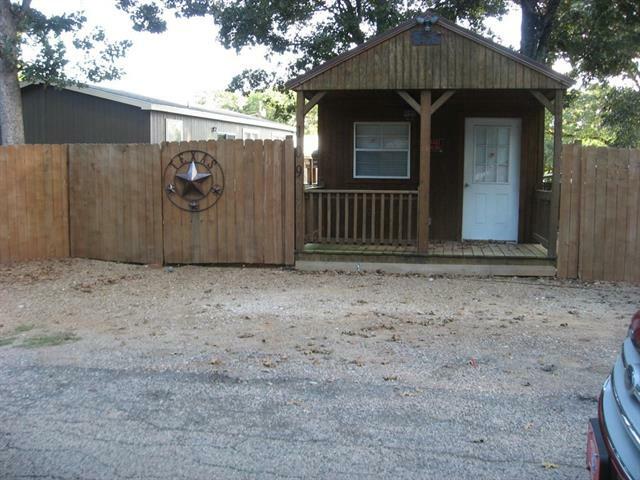 "Cute and cozy 2 bedroom, 1 bath fixer upper close to Cedar Creek Lake. This would make a great house for a weekend get-a-way. Close to public boat ramp. Plenty of storage in the storage building to the left of the house. Central air and heat installed March, 2019! This open concept living-kitchen-dining is a must see!"